My qualifications include: MSc Counselling Psychology, BSc Social Studies, PgDip Psychology. 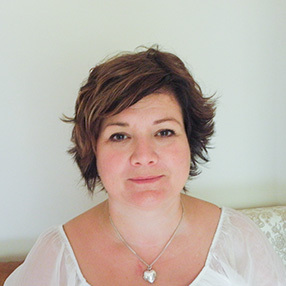 I have 15 years experience working as a counsellor in a broad range of settings including primary care, higher education, local charities, local organisations, private practice, helping people with many different and varied issues including anxiety, depression, bereavement, and relationship difficulties. When appropriate, I integrate my person centred practice with creative methods (and/ or Reiki on request). The therapeutic relationship between my client and myself is the most significant aspect of the counselling that helps a person to understand themselves better, to understand, or manage or cope with upsetting feelings and thoughts, to feel less isolated with their difficulties. All aspects of a person are important; mind, body and soul. I have an holistic perspective on how problematic issues might be created and how these issues may be eased or resolved.